PANDORA Draped Four-Petal Flowers Stud Earrings. 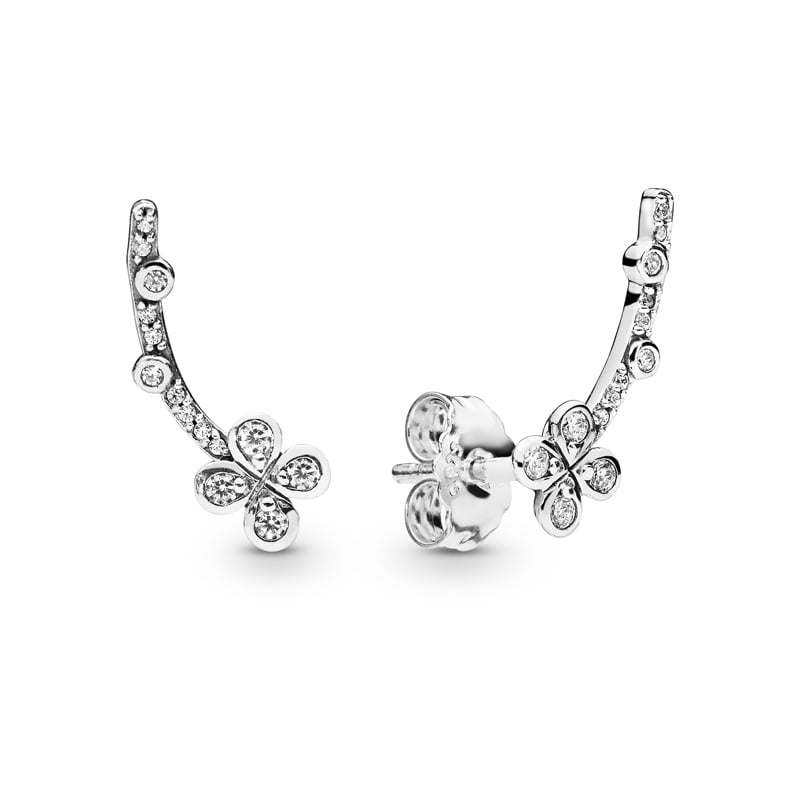 Like a draping stem of flowers, these delicate and pretty studs are made from sterling silver. Embellished with glittering stones, the shape of the earrings give the illusion that the stem is growing downward - giving the ear a beautiful and feminine curve.